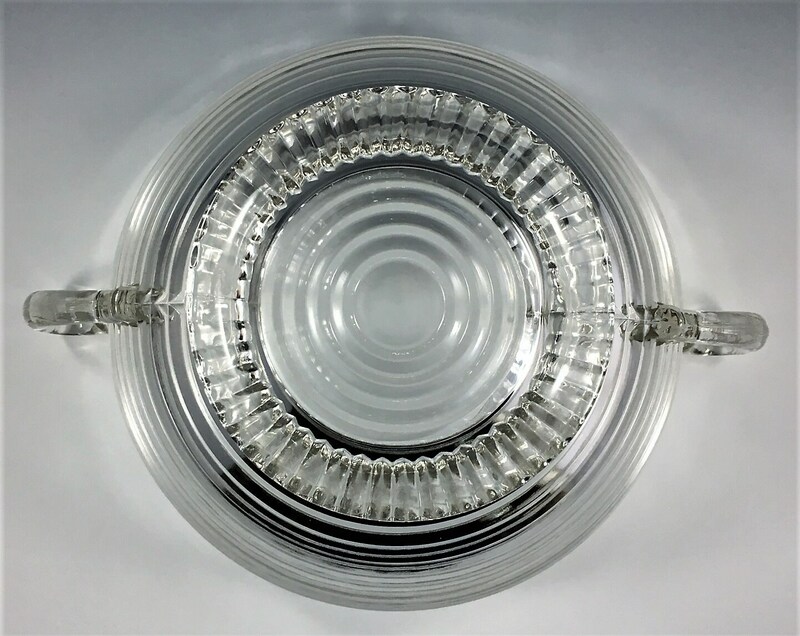 Featured is a stunning vintage bowl from Hocking Glass. This stylistic piece is from their popular Manhattan pattern which was produced from 1938-43. 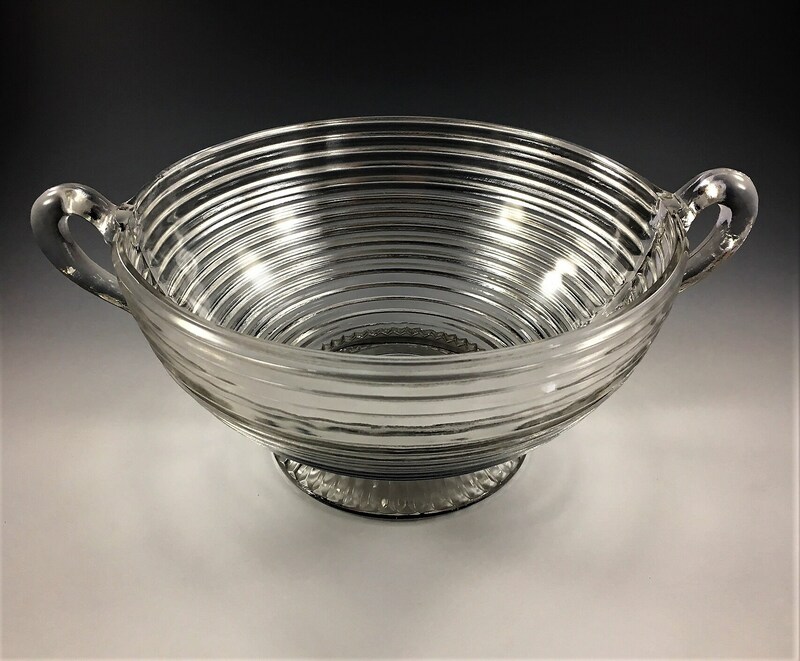 The bowl has a great art deco look, with bold horizontal ribs and open handles. This is the hard to find "Large Footed Fruit Bowl" which measures about 9 1/4 inches not including the handles. It is in nice vintage condition, but it does have a chip on the rim. I have reduced the price to account for this flaw. 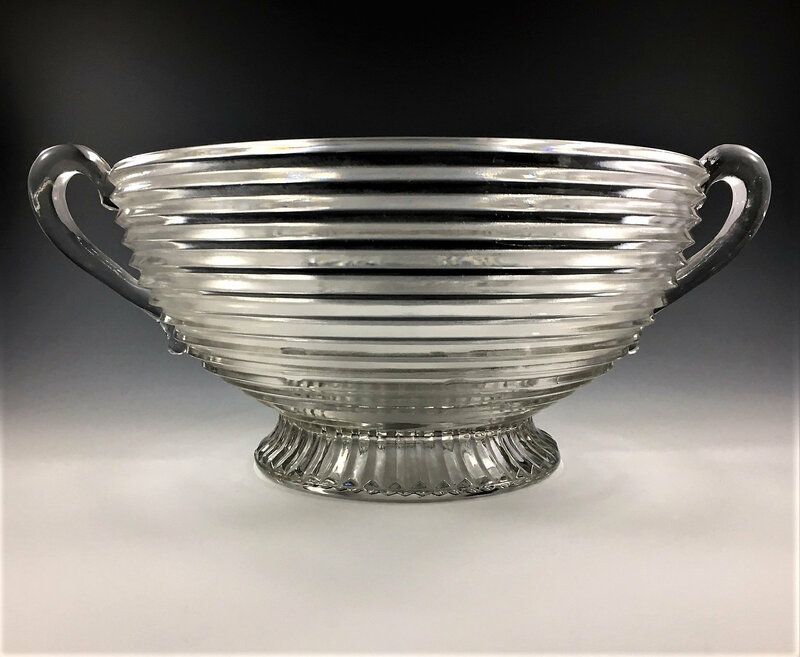 Still, this is perfect for your elegant table and for holiday entertaining. 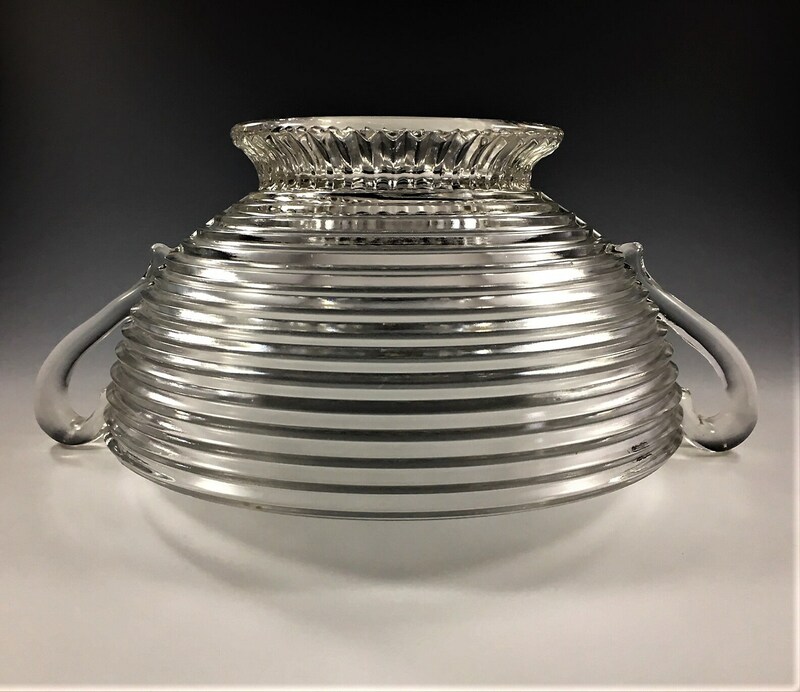 Wonderful addition to your vintage glass collection.